Woot! Woot! 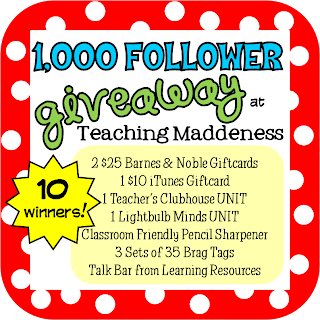 Today I have another awesome FREEBIE up for grabs!! Have you seen this? 1. Sequencing - Story events and stages of the life cycle are perfect for independent centers! 2. Math Practice - Number facts, expanded form, and money are a just a few! 3. Vocabulary - Students can read the words and say their meanings or use in a sentence. 4. Spelling - Show a picture of a word for students to spell. 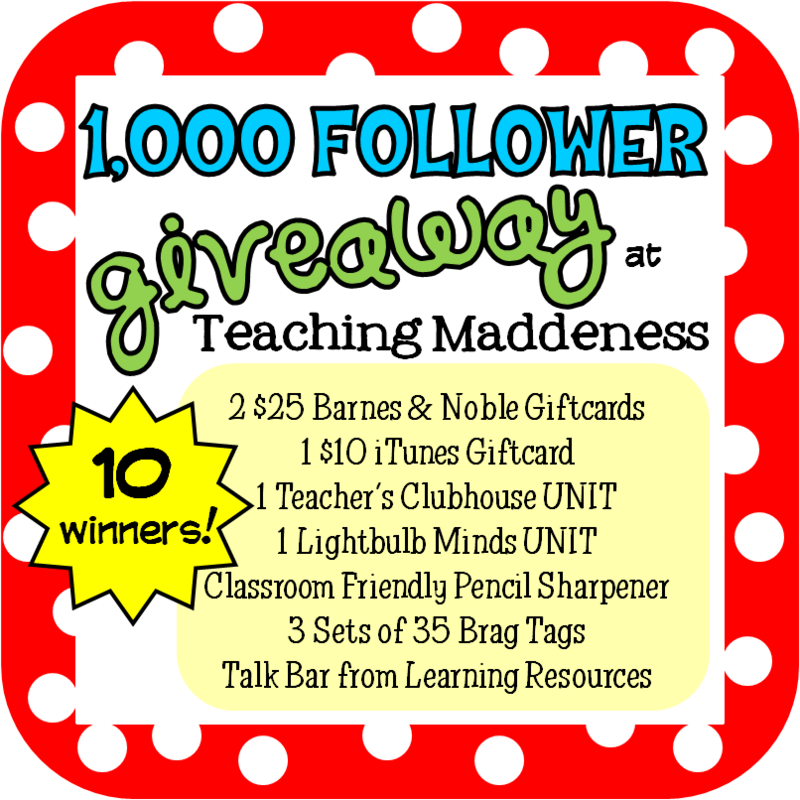 It's great for partner or small group work, too! The button switches to off/record/play so it's easy for students to use independently. And, my favorite part is that it mounts to the wall!! I don't have mine mounted yet, but it's on my "honey-do" list! :) It comes with 18 blank cards and I love the idea of having students create their own pictures to slide in (we did this with life cycle stages) but I could see printing images from a computer on cardstock to use as well. 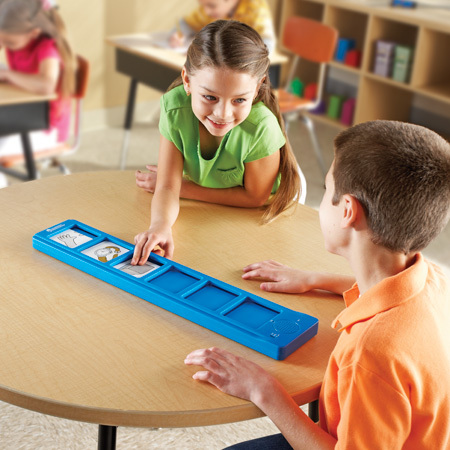 Would you like a Talk Bar to add to your classroom (retail $59.95)? It's easy...just enter below!! Sequencing is so important and definately a need in my classroom! I would use it for vocabulary development...always need more practice with that important skill! I would use it for sequencing and comprehension. I would probably use it for Sight Words and Fact Practice. Sequencing is a very good idea. I have a few students that have a hard time with that skill still. I would use it for sigh words! I think I would also use it for sequencing and probably some math facts practice. I'd use it for guided reading group to help with retelling stories. There are so many ways to use this. I would start with math facts and comprehension skills. i would use it for small group! 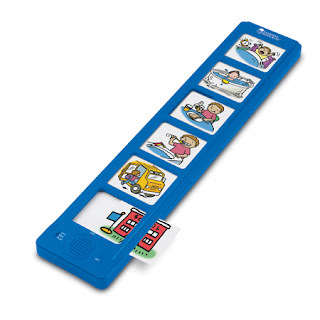 My mom would love to use this with her special needs kiddos! I would use it in small group for so many different things, like sequencing and alpha sounds! I loved the ideas of using it for directions for centers! I would use it for sequencing & for math word problems. I would use this to teach story sequencing! Sequencing would be a must and probably summarizing, but I do like Emily's idea of reading numbers. My kiddos always struggle with that at the beginning of the year. I'd use it for sequencing! I'm so glad you introduced me to this great resource! Oops! I forgot my email address! Again, I would use it for sequencing. I see limitless possibilities for strugglers and ESOL kids! Yay! I am so excited to get this! Thanks for an awesome giveaway!